Dr Gray's Hospital in Elgin. Health bosses yesterday revealed fewer pregnant mums will need to travel to Aberdeen to give birth following the recruitment of new doctors at the hospital in Elgin. Two locum paediatric consultants began working at Dr Gray’s Hospital last month to support existing clinicians. 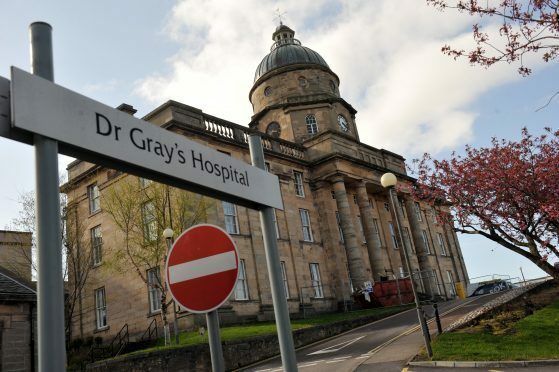 Yesterday NHS Grampian revealed the recruitment boost means elective cesarean sections can return to Elgin sooner than expected against the plan it has prepared to return services to the town. BUut the health board warned they may have be withdrawn again in February unless the recruitment situation improves. The health authority was asked to draw up an action plan for the Scottish Government in August before having to make revisions. And despite an assurance that the plan would be published when approved, no details have yet been released. Last night it was also confirmed that the Scottish Government’s health secretary, Jeane Freeman, will also visit Dr Gray’s next week to check progress on the blueprint. Sue Swift, divisional manager for the women and children’s service at the hospital, explained the recruitment boost was a “firm demonstration” that the NHS was committed to reintroducing services when safe to do so. She added: “We appreciate this isn’t going to solve all of the issues we face and we remain committed to the restoration of a consultant led service in the long term. “The early reintroduction of elective cesareans is just one of the things we are pursuing. A downgrade to the maternity service at Dr Gray’s in July resulted in 80% of Moray mums having to travel outside of the region to give birth. However, it is understood that figure has improved in recent weeks.